I will teach you no less, and more importantly, no more than what is essential for you to pass the exam! Your time is valuable and I do not intend to waste it, so rather than talking about things that aren't really important (from the point of view of the exam), I will focus on what's really important - which is knowing how to use the book quickly and efficiently! This approach will guarantee that you will find this course easier and less stressful then expected! "Thought the approach was first class and your tone of voice was very calm and this style worked. Two of my engineers have failed a course paid over £500.00! Due to the tutor not have the correct approach. 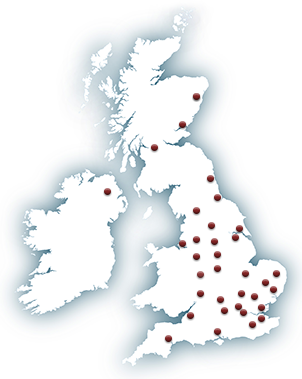 These are our main exam centres, where we can provide the exam on almost any date and time, even at a fairly short notice. - Watford (Full until the end of May) . Exam locations: Aberdeen, Antrim (NI), Aylesbury, Basildon, Birmingham, Bradford, Bristol, Brigg, Bury St Edmunds, Exeter, Glasgow, Gloucester, Hawes,Harlow, Hull, Ipswich, Leeds, Leicester, London, Luton, Maidstone, Manchester, Newcastle, Norwich, Nottingham, Peterborough, Reading, Sheffield, Stockton-on-Tees, Southampton, South Wales and Watford. PLEASE NOTE: only book this option if the exam location is suitable for you. Limited spaces only - book early! Exam locations: Aberdeen, Antrim (NI), Aylesbury, Basildon, Birmingham, Bradford, Bristol, Brigg, Bury St Edmunds, Exeter, Glasgow, Gloucester, Hawes, Harlow, Hull, Ipswich, Leeds, Leicester, London, Luton, Maidstone, Manchester, Newcastle, Norwich, Nottingham, Peterborough, Reading, Sheffield, Stockton-on-Tees, Southampton, South Wales and Watford. When I’ve completed the course, will I still be able to return and go back over sections or will it lock out? Once you purchase the course you can return to any part of it as often as you require. There is no time limit or limit to the number of times you can access the course content. The same applies to the revision questions and the exam simulator so you can practice as many times as you want. It depends which package you sign up for. If you see "+ C&G 2382 exam" in the name of the package - it means that the exam is included in the price at one of our partner exam centres. If you sign up for a package without the exam, you can still contact us at a later date in order to arrange an exam in one of our partner exam centres. Alternatively, you will need to book the exam separately yourself. This will usually be at a local college, school or another exam provider near you. What is "E-mail tutor support"? Stuck with a question or need more explanation for a particular regulation? Contact your tutor 7 days a week via E-mail! Trevor will get back to you within 24 hours with an answer to your question (Plus plan only). After enrolling, you will have unlimited access to the course for one year - across any and all devices you own. I do not have the 17th Edition qualification or the latest amendment for it, is this course still suitable for me? Our 18th Edition online course is a full, complete course and as such, it is suitable for candidates new to the trade as well as those needing to update their 17th Edition qualification. This course will give you, upon successful completion, a C&G certificate for the 18th Edition as long as you pass the exam.